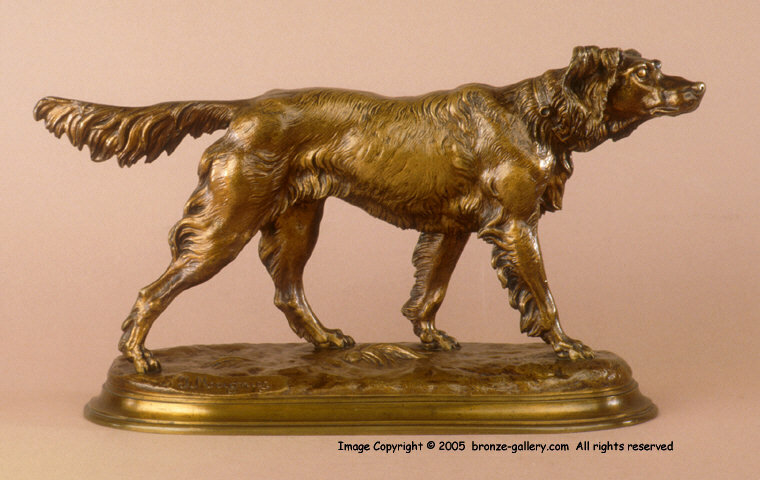 The Walking Setter is a classic Moigniez model and one of his best works. It is the companion piece to the Walking Pointer and they were often sold as a pair with matching patinas. 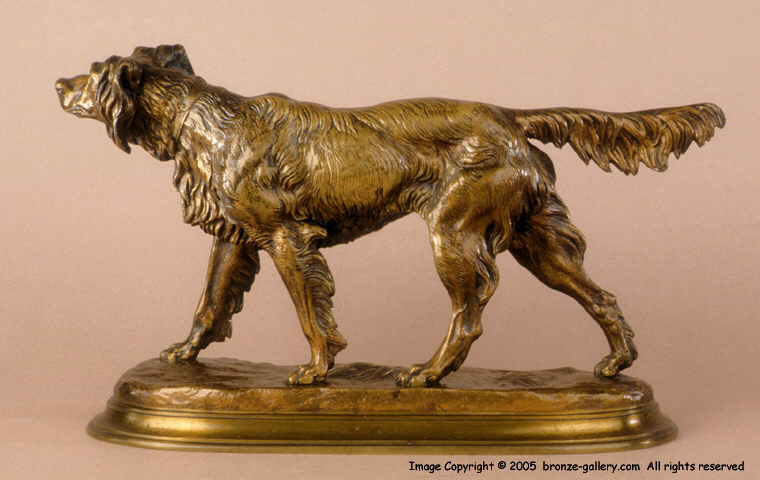 This bronze is a fine early cast done by Moigniez's father and showing the sharp detail and unusual golden gilt patina typical of his father's foundry work. The dog has a fine coat which shows every hair in this superb sculpture, he is on the alert for game birds as he walks along.